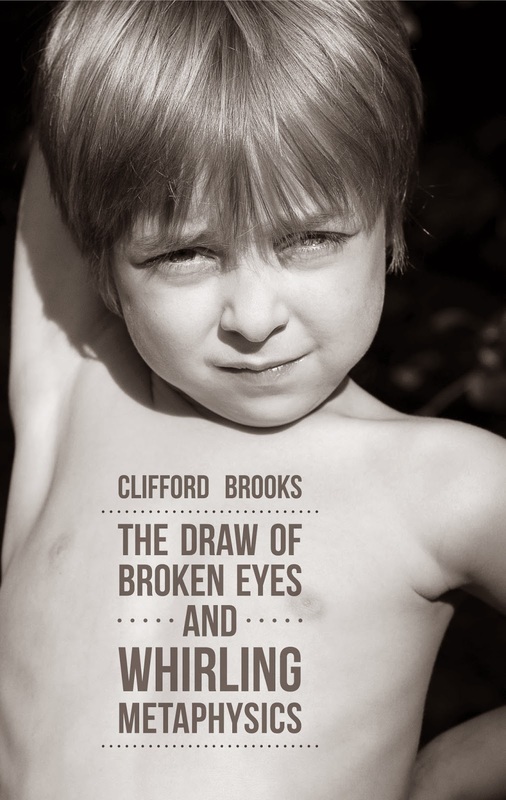 Last Issue we interviewed author Charles Clifford Brooks who was nominated for Georgia Author of the Year and The Pulitzer Prize for his twin tomes, The Draw of Broken Eyes and Whirling Metaphysics. It was a wonderful, sprawling interview that gave many lucid insights into the man behind the verse. This issue we offer up a humble review of the Whirling Metaphysics portion of the book, since the interview focused mainly on The Draw of Broken Eyes. John Yu Branscum wrote of Charles Clifford Brooks' Whirling Metaphysics that it combines a "post-Beat sensibility with Southern dirty realism and the irreverent eye of a Zen trickster." Now, I wish I had written these lines. I think my own description of Brooks' poetry was pretty decent, but this reviewer is spot-on. While I said that his poetry contained elements of Beat, Branscum hones into the heart of the matter and describes it as post-Beat. YES, exactly! Brooks does infuse a Beat sensibility into his poems, but his poems move beyond that into more adventurous territory. You can hear the jazz in the lyrical lines, but the lines are not weighed down by jazz, and they don't seem to be intentionally jazzy, just arbitrarily so. Furthermore, the rhythms are uneven, giving us a sense of mercurial mood shifting. And, finally, the poems incorporate gritty realism of the southern variety laced with Zen musings. Maybe Southern-Zen can be Brooks' pioneering genre. The entire reason I was drawn to Brooks' book in the first place was the title, Whirling Metaphysics. I am drawn to metaphysics, with my Buddhist bias and all, and I especially appreciated the "vertigo echoes" that the phrase "whirling metaphysics" conjures. Metaphysics deals with the physical world in a spiritual way, and Brooks' poems are suffused with a spiritual sensibility that call to mind Eastern ethereality. But the grit and grime of everyday existence also features prominently, counterbalancing and in some cases even destabilizing the cultivated Zenfulness. invert our normally positive associations with innocuous nature imagery (such as dew and birds), steeping it in startlingly negative connotations. Step lightly. Now shine brash and brightly. The concluding poem in this collection seems at first glance mismatched with the rest of the poems in this volume, at least stylistically speaking. "The Gateman's Hymn of Ignoracium" is Dante-fueled verse written to mimic Greek epics and indeed has a slightly more traditional form to it. It also doesn't seem to follow logically from the rest of the poems unitl you become cognizant of the ideas that tie them all together. Then you realize that its purpose is to give a sort of coda to the collection and to the hodgepodge of themes. Brooks has called it his "morbid Ode to Joy." Indeed, dark exuberance tends to be something that Brooks' verse excels in conveying. Even though the poem's title and style hint at pretensions that were not previously observed in either collection, ultimately the poem is written in a similarly accessible, if deceptively layered, mode, as his other poems. It does not so much constitute a break from his usual form as an expansion of it. Your mind will whirl when you read these astounding poems with their stark symbolism, ambivalent tones and moods, and vivid vacillations between the ethereal and the real. You may purchase the book at amazon.com.